NEW YORK, Oct. 8, 2009 – Redefining the notebook category once again, Sony today took the wraps off the world's lightest notebook- the VAIO® X Series. Housed in a lightweight carbon-fiber chassis, the X Series weighs just 1.6 pounds (with standard battery) and is just over a half-inch thin- roughly the width of a cell phone. It features a 16:9 aspect ratio which means you get a wider workspace-all packed into a compact 11.1-inch (diagonal) footprint. And not only is the scratch-resistant LCD display durable, it also provides brilliant picture quality with 100 percent color saturation and improved brightness, thanks to its LED backlight technology. The X Series is also supplied with both a standard and super-extended capacity battery, delivering extra-long battery life for day-long productivity-up to 3.5 hours for the standard battery and up to 14 hours for the super-extended capacity battery. 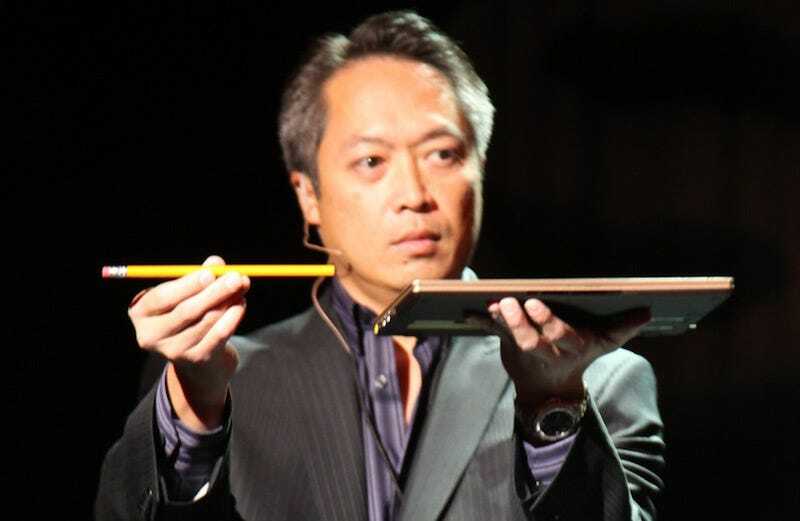 "It's one thing to make a notebook thin but when you consider the fact that the X Series also boasts industry-leading battery life and wireless WAN- you now have a game changer- altering the way people use and think about their PC," said Mike Abary, senior vice president of the VAIO business group at Sony. The unit's extremely thin profile alone is enough to turn heads but its real elegance is found in its subtle details. Grooved edging traces its perimeter while a seamless sheet of lightly brushed aluminum frames the keyboard and covers the palmrest. Its uniquely configured keyboard is designed with spacing between the keys for a comfortable typing experience. And the keystroke is firm and solid creating a user-friendly touch and feel that makes finding the keys more intuitive. The unit's touchpad features a multi-touch functionality commonly associated with touch-enabled smartphones. This means that you can zoom in and out, flip through pictures, rotate items clockwise and counterclockwise, and scroll vertically and horizontally without ever touching your mouse. The X Series integrates wireless 3G Mobile Broadband technology provided by Verizon Wireless Mobile Broadband Built-In, Wi-Fi (802.11n), and Bluetooth® wireless technologies-so you will always be connected. For 3G Mobile Broadband technology, a separate Verizon service subscription is required. The model also incorporates real-time GPS functionality, making it easy to find restaurants, hotels or special sites of interest. Destinations can be found by simply typing in an address or keyword and then following the turn-by-turn directions. It even includes estimated drive times to let you know how far you are from a destination (United States or Canada only). No Internet connection is required in the United States or Canada. The X Series incorporates a solid state drive (SSD) used in place of the spinning hard disk drive found in most computers. This provides a rapid boot-up and quicker access to applications, while reducing the risk of hard drive damage-an ideal feature for those on-the-go who are in situations where sudden movements are common. It will come with Windows® 7 Home Premium operating system. The VAIO X Series notebook will come in two colors, black and gold, and start at about $1,300. It is available for pre-orders today online at www.sonystyle.com/pr/x. It will also be sold at Sony Style® stores and select retailers around the country starting next month.